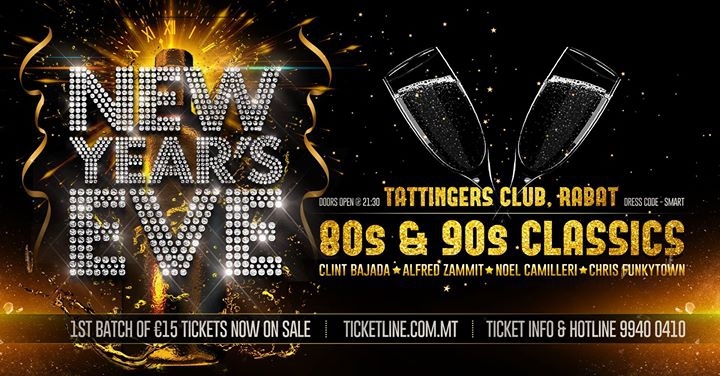 New Year's Eve Classics celebration featuring DJs Clint Bajada, Alfred Zammit, Noel Camilleri & Chris Funkytown playing the Classics from the 80s, 90s and more. Join us for a night to remember. Spectacular New Year Countdown... Cheers to a new year and another chance for us to get it right!